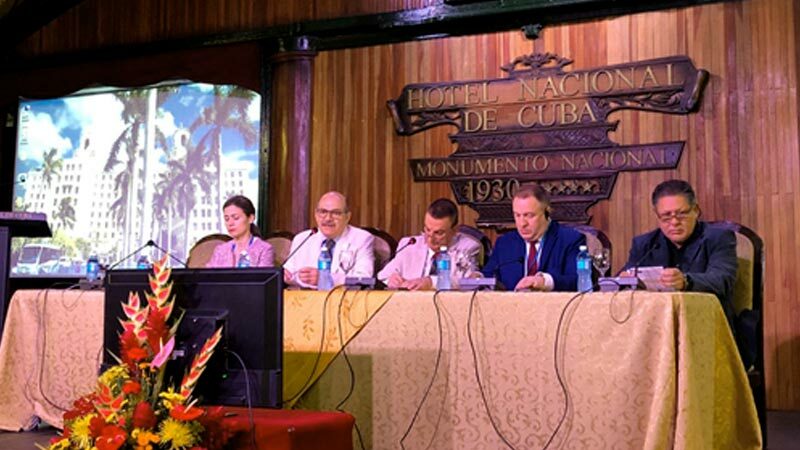 Within the program of celebration of the 30th anniversary of the GMP inspectorate of the Center for State Control of Medicines and Medical Devices of the Cuba’s National Regulatory Authority (CECMED), the Ist international meeting of the regulators of medicines and medical devices took place. Congratulating the colleagues, the Deputy Head of the Russian GMP inspectorate Mr. Vladislav Shestakov emphasized that strategic partnership between Russia and Cuba was based on the historical friendship, mutual respect, and interest. In Cuba, a three-day meeting of the regulators of medicines and medical devices confined to celebration of the jubilee of the GMP inspectorate of CECMED was launched. Prior to this event, Russian pharmaceutical manufacturers, such as «Active Component», «Geropharm», «Nativa» and «Ozone», held meetings with CECMED, where they expressed their interest in the Cuban market and focused on establishment of joint drug manufacturing enterprises. For instance, «Geropharm» has already applied for drug registration here. Based on the results for 2017-2018, the Federal State Unitary Enterprise «St. Petersburg Scientific Research Institute of Vaccines and Serums» of the Federal Medical-Biological Agency of Russia exported the inactivated influenza vaccine and the purified tuberculosis allergen for the total amount above RUB 55 million. At the same time, the interest of Cuban companies in the Russian pharmaceutical market is also obvious, including opening of affiliates in special economic zones and technology parks of Russia for development of drugs together with Russian manufacturers and R&D institutions. And 2 Cuban drug products have already been registered within the Russian Federation territory. As reported by the Director of SID & GP Mr. Vladislav Shestakov, based on the results for 2018, the share of pharmaceutical products imported from Latin-American countries in the total volume of the drugs market in the Russian Federation was 0.11% in monetary terms (or $ 20.5 million out of $ 21.4 billion) and 0.01% in volume terms (or 272,955 packs out of 5,205,034,807). Out of them, Cuban drugs comprised $ 652,082.65 or 1,752 packs. Herewith, the majority of supplies were financed by the budgetary funds (public procurement segment); the sales of drugs from the List of Vital and Essential Drugs were $ 20 million in monetary terms and 140.88 thousand packs in volume terms. Out of them, Cuban drugs comprised $ 569,061.85 or 686 packs. The Director of SID & GP Mr. Vladislav Shestakov is assured that the Russian market has an enormous potential for Cuban medicines, the same as the Cuban market for Russian pharmaceutical companies. For instance, as an outcome of the business mission led by SID & GP, the «Geropharm» company filed an application for registration of two insulins. On the whole, Russian pharmaceutical companies view Cuba as a hub for entering the Latin-American market. Based on the data from the State Regiser of Medicines (hereinafter – SRM) as of 20 March, 2019.